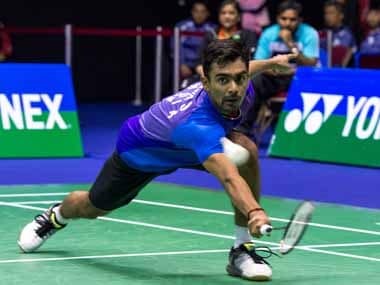 On what was another memorable day for Indian badminton, unconsidered Sameer Verma joined PV Sindhu in the playoff semi-finals of the World Tour finals in Guangzhou, with a convincing 45-minute 21-9, 21-18 victory over Thailand’s Kantaphon Wangcharoen in their last round-robin Group B match on Friday. Verma, who occupies the 14th position in the Badminton World Federation (BWF) rankings, finished his three league engagements at the Tianhe Gymnasium with a 2-1 win-loss record – victories over Wangcharoen and Indonesia’s Tommy Sugiarto, and a solitary defeat on the opening day at the hands of the top seed and World No 1, Kento Momota. The Japanese ace finished his league matches with a 3-0 record, after notching a comfortable 21-14, 21-8 victory over Sugiarto in the last match of the day. With Verma ending runner-up in the group behind the reigning world champion, the Indian will clash in the penultimate round of the $1.5 million prize money tournament with China’s Shi Yuqi, who finished his outings in Group A with an all-win 3-0 record. Momota will take on South Korean stonewaller Son Wan Ho, who finished second in the pool with a 2-1 record – wins over Chinese Taipei’s Chou Tien Chen and Indonesia’s Anthony Sinisuka Ginting, and a solitary defeat at the hands of Shi. As for the women, the first semi-final will feature Group A topper Sindhu against Thailand’s 2013 world champion, Ratchanok Intanon, who ended her league campaign with a 2-1 record, with wins over China’s Chen Yufei and Michelle Li, and a loss at the hands of Japan’s 2017 world champion, Nozomi Okuhara. The latter, who ended at the summit of Group B with three victories and no defeats, will clash with her compatriot, Akane Yamaguchi, in the other semi-final. Sindhu, who had already qualified for the semi-finals on Thursday, finished her foray in Group A with an unblemished 3-0 win-loss record; and looks good enough to go one better than her runner-up finish to Yamaguchi at the Superseries grand finals in Dubai last year. In what had been widely expected to be a no-holds-barred dogfight between Tai and defending champion Yamaguchi for the second spot in the pool, the Chinese Taipei player conceded the tie when leading 12-11 in the second game, after having lost the opener to the diminutive Japanese at 17-21. The Taipei star tapped her right leg with her racket, indicating to Indian chair umpire Apinder Sabharwal that she could not continue. Tai, who had incurred the right calf muscle strain during the semi-finals of the Hong Kong Open last month, appears to have had insufficient time to recover from the injury that had caused her mid-match retirement in Hong Kong, as well. Those who had closely watched her match against Sindhu on Thursday realised that her court movements were not as swift and fluid as usual, and that the leg was troubling her, especially in the second and third games of their long-drawn 61-minute encounter. There was another retirement in the singles events, when China’s top player, Chen Yufei, quit playing after only four minutes of her final group tie against Okuhara – when the Japanese held a slender 5-4 lead. Chen had lost her earlier matches against Intanon and Canada’s Michelle Li, both in three exhausting games lasting over an hour each; and saw no point in continuing as she had no chance of qualifying for the semi-finals. Li ended third in the group, with one win and two losses, while Chen was firmly installed in the cellar. Yet another shock result took place in the men’s doubles when the world’s top pairing of Indonesians Kevin Sanjaya Sukamuljo and Marcus Gideon Fernaldi conceded a walkover on Friday to China’s Han Chengkai and Zhou Haodong, having incurred an unspecified injury during their 18-21, 22-24 defeat at the hands of another Chinese pair, Li Junhui and Liu Yuchen, on Thursday. As per the tournament rules on the subject of walkovers, the results of the Indonesian combination against all the other pairs in the group were struck off the record. It allowed the Danish combination of Kim Astrup and Anders Skaarup Rasmussen to qualify for the playoff semi-finals as the second pair in the group behind Li and Liu, who ended with an all-win record. 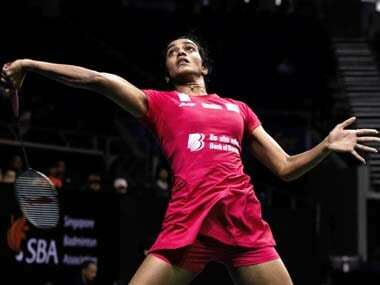 The exhaustion and susceptibility to injury that the top players have shown at this competition underlines the fact that the BWF, the game’s controlling body, needs to take a fresh look at the cramped and crowded schedule of 26 tournaments, with the top players being required, on pain of incurring a hefty fine, of playing in at least a dozen of the top events. Meanwhile, those who are keen to know how Sindhu stands in the records against her semi-final opponent, will be happy to note that, though the Indian trails 3-4 in career head-to-heads, she has won their most recent two meetings in a commanding manner – at 21-17, 21-17 in last year’s Hong Kong Open, and by a 21-13, 21-15 margin at the India Open in February this year. In Sindhu’s current form and mood, it will take more than just substantially improved fitness on the part of the Thai to prevent her from reaching her second successive final of the season-ending World Tour grand finals. Intanon’s artistry and deception are unlikely to be sufficient to control the aggression and power of the rampaging Indian, who is playing better at the moment than at any time in the year 2018. There is also hope for the battling, hard-working Sameer Verma, who had squeezed into the finals by successfully defending his title at the Syed Modi International, late last month; and finishing seventh in the list, narrowly ahead of Indonesian Ginting. Verma trails the reigning All-England champion Shi Yuqi 1-2 in career meetings but was the victor in their most recent meeting – by a 21-17, 21-18 scoreline in the Denmark Open, exactly two months back. Thus, although Momota has appeared head and shoulders above the rest in this tournament, and looks a shoo-in as the eventual champion, Shi will have to be on his mettle if he hopes to prevent an Indian one-two in the singles finals of this cash-rich event.